Hi All! I wanted to share a new card with you...it's inspiration is one of my favorite quotes as the challenge over at the Tiddly Inks Challenge blog is to use a favorite quote on your card. "Be yourself. Everyone else is already taken. ~Oscar Wilde" When I was growing up I always wanted to fit in and be just like everyone else- have the right hair cut, the right clothes and hang out with 'cool' crowd (I think we all struggle with this at some point). I grew to realize that what truly makes us special are the things that make us uniquely ourselves. I have this quote up in my bathroom as a daily reminder that the world would be a boring place if we were all the same and who I am as an individual is something I should celebrate not try to change. This image, Aisha (which you can find here) from Tiddly Inks, seemed the perfect complement to my quote and as a bonus was a total blast to color up! Its hard to tell from the pictures but I made her sandals and some of her bracelets gold with my glitter pen and used a jewel for her bindi. I really like the finished product and I loved being able to combine my love of quotes with my love of card making. When I'm having trouble finding my mojo in the future I think I'll remember this challenge and try finding inspiration in a quote! very pretty creation! I really Love the image and the colors! thanks for join at the totally Gorjuss this week! Wow this is gorgeous! 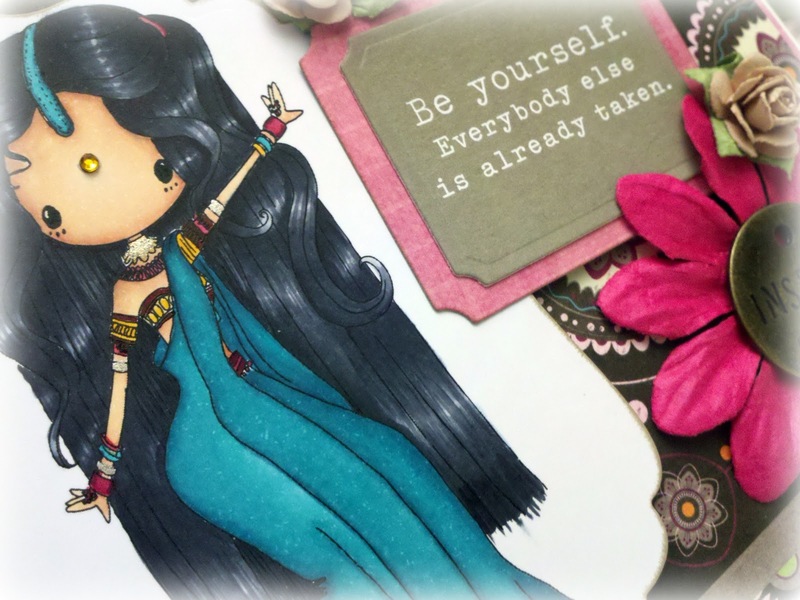 Love how you've colored that adorable Tiddly Ink image Aisha! Her hair is gorgeous and the quote is just too perfect! Thanks so much for joining us at Tiddly Inks - Quote Me challenge! This is beautiful. Her hair is so wonderfully colored...as is her gown. And I love the sentiment! Great artwork! As a challenge lover, you might also be interested in my Clean & Simple Sunday Challenge. All are welcome! beautiful job coloring, thanks for playing with us at Paper Pretties. Very pretty! Stunning colouring. Thanks for joining us at the Tiddly Inks challenge this week! What a absolutely fabulous card! I think your quote is great! so glad you could join us at Tiddly Inks this week! 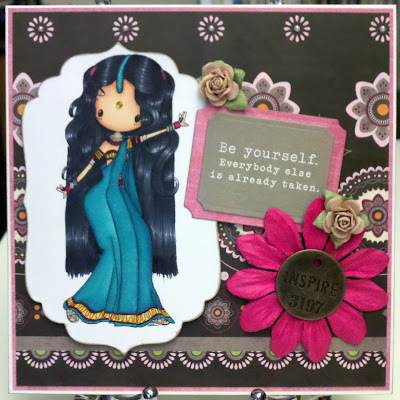 Tickled Pink Stamps New Challenge Blog!